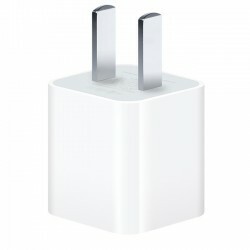 Following the electrocution of a Chinese woman that may have been caused by a counterfeit iPhone charger, Apple will launch a new recycling program on August 16th to dispose of any USB power adapter used with the iPhone and iPad. The company is also offering official replacement chargers for $10 to anyone who turns in a suspect adapter. The program was first reported by 9to5Mac. To get the discounted charger, users can bring any USB power adapter and an iPhone, iPad or iPod to an Apple Retail Store or participating Apple Authorized Service Provider. Only one replacement adapter per device is allowed. Apple does note that retail stores or service providers cannot give any information about the authenticity or safety of power adapters. This is not the first time that Apple has introduced a special support program for USB power adapters. In 2008, Apple issued a recall for USB power adapters included with the iPhone 3G. There were a number of reports that the metal prongs on the ultracompact power adapters could break off and get stuck in the wall. To this day, Apple puts a green dot on new power adapters to differentiate them from the older, recalled models. So I can buy an unofficial charger off eBay for $5, bring it in to Apple and get an official one for $10? That's $5 savings! If they weren't price gouging everyone by charging people $20 for their "official" power adapter this wouldn't be near the problem. Good Move. A company that cares! B-Apple chargers cost them nearly nothing. This is a great idea, and a responsible action by Apple. Or that, you know, Apple's PR know how to turn negative coverage into positive one. It's a brilliant marketing move, and any marketing usually costs money anyway. I'm sorry, but it's not Apple's responsibility to worry about how cheap, unlicensed, and occasionally faulty third party chargers are priced. If you don't want to fork over the $20 for an extra charger, you get what you pay for. Would it be nice if the official chargers were cheaper? Absolutely! But they're not, and in my opinion, $20 isn't too much to ask for a well built charger. We give them technology they aren't ready for, then act surprised when they kill themselves with it. It's like the Native Americans with alcohol... did that really improve their lives?